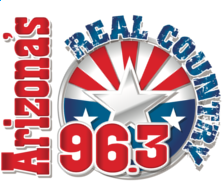 Real Country Live & Local talks to Rob West and Chris Heart about their upcoming performance at Dillon’s Bayou at Lake Pleasant Harbor. This is a new segment were we get to sit down and talk to local artist about where they will be performing in the valley. Also guest will get a chance to play their new music for country fans all over the world. We are glad to share this opportunity to explore the local country scene with you.